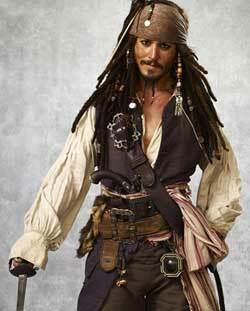 Pirates & Privateers : Did Captain Jack Sparrow really exist? Question of mac (07.20.2015): Did Captain Jack Sparrow really exist? I wonder how female pirates were dressed. From where are there the most sunken ships? In what year did privateers appear?